Wedding Pros! 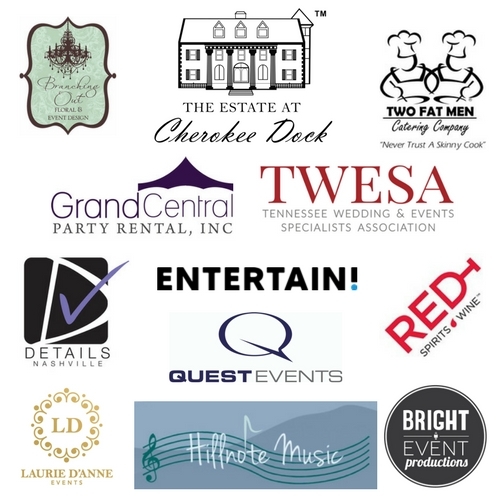 Join the Wedding Market Summit for 2 days for 2 talks, 4 workshops, networking and an interactive panel on the latest in technology at The Estate at Cherokee Dock in Lebanon, TN just outside of Nashville . Explore the amazing things to do in Nashville including the former home of the Reba McEntire and home of country music. Learn hands-on all the latest in Wedtech in small class sizes. Bring your laptop, iPad, iPhone and etc! How to create ads on Facebook and Instagram. How to transform your Instagram account with amazing photos and the proper hashtags. Turn your photos and video clips into video slideshows, quickly and easily. Fast track your business, maximize your output and sync your business and clients. Join a networking event with TWESA wedding pros from the Nashville area and Wedding Market Summit attendees for a Facebook Live broadcast of Wedding Market Live with the top experts on Wedtech. Stay at area hotels around Lebanon and Nashville, Tennessee. Dig into the concept of Original Content and story telling through the use of posts, ads, pics & videos. I’ll give basic advertising information and tips on increasing ROI. We’ll talk about how social media is different for small businesses than conglomerates and how to take advantage of being a small, locally owned business. We’ll talk about the different social media options and where to spend your ad budget and time based on real-time stats. Basically, everyone is a photo-journalist these days. We’ll talk about how to take advantage of that fact to organically grow page engagement, as well as how to utilize ads to find new clients through consistent ad placement and targeting. Join a networking event with TWESA wedding pros from the Nashville area and Wedding Market Summit attendees for a Facebook Live broadcast of Wedding Market Live with the top experts on Wedtech. Great food, entertainment and networking! Have you ever had the opportunity to go on TV and give tips in your industry? Well as a planner and designer, that usually requires props. And when the show tells you there’s no budget, what’s your reaction? FREE? Nothin is free in life. Angela will cover how to maximize your ROI when there’s not a budget to get local or national exposure. Don’t expect potential clients to call just cause your on TV. They’d only 50%. Now you have to do the other half: CTAs and planning. Objective: We’ll talk about the nuts and bolts of scaling a wedding brand by focusing on the most important aspect – profitably acquiring leads/customers and then the most important part – converting them based on their own timeline for making wedding decisions related to your service or product. 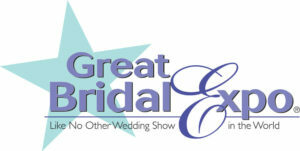 Julie Albaugh is editor of WeddingMarketNews.com and host of the #WeddingMarket chat on Twitter every Wednesday. Some of her #weddingmarket guests have included Cake Boss, Disney Weddings, Preston Bailey, Colin Cowie, David Tutera, Randy Feoli, Sharon Sacks, Sandals, The Knot and WeddingWire. Wedding Market was selected as #3 of the top 10 Social Media influencers in the Wedding Industry by Wed Biz Media. The #weddingmarket hashmark has a tweet reach of between 2 to 28 million each week. Heather Benge is a nationally recognized and professionally certified event planner who broke out in the wedding industry creating and planning weddings from Alaska to Alabama. 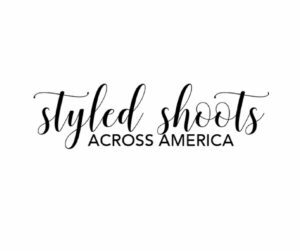 Heather currently owns an event planning boutique, is the creator of Pretty & Published – a styled shoot workshop, manages a luxury wedding venue in Houston, TX and is a instructor for the Lovegivty Wedding Planning Institute. Bogdan Constantin is the founder of Menguin – the world’s highest rated online suit and tuxedo rental company and the CMO of Generation Tux and Menguin following Menguin’s acquisition by Generation Tux in August 2017 for $25M. He scaled Menguin to the dominant position in the multi-billion dollar formalwear rental industry through minimal marketing spend by building a fanatical customer base in the wedding vertical reaching an average NPS of 63 every month since inception to acquisition as well as a minimum 800% CAGR every year since launch in 2014. Bogdan loves the marketing and consumer space; in particular bringing innovation to untouched aspects of the consumer economy. Before founding Menguin, Bogdan worked for a number of Fortune 500 companies in finance, strategy and consulting roles. He speaks 5 languages and attended the University of Georgia where he graduated in 2.5 years. He is an avid traveler and has visited 48 countries with plans to visit every one by age 40. He presently lives in Louisville, KY where Generation Tux is headquartered with his wife, daughter and lovable malamute mix. Beyond creating personalized events for clients, Angela is known for implementing technology to operate a paperless organization and leveraging her education in psychology to master communication with clients, vendors, and team members. As a thriving entrepreneur, her passion for helping others has carried her from starting her career in mental health to being one of the most well-known educators and celebrity wedding planners in the world. As a result of her business success, Angela is a member of the Entrepreneurs’ Organization, a global business network for entrepreneurs whose companies gross more than $1 million annually. She has been featured in Success Magazine for Modernizing an Industry Better Known for Tulle than Tech. She decided to try her hand at retail and opened her boutique, The Gilded Gown, in Knoxville in 2008. After spending crazy amounts of money on traditional advertising with radio, print and TV ads, Jacqui was not satisfied with the results. Determined to succeed and find creative ways to get brides in the door affordably, Jacqui began utilizing Facebook ads to micro-target local clients. She spent years fine-tuning her marketing skills and revolutionized her business. Year after year, The Gilded Gown’s sales have grown exponentially. In an era of hard-times for brick and mortar, Jacqui’s store is thriving. She has a proven system for engaging brides, for generating a buzz online, and most importantly for driving customers into her store. Due to her success Jacqui has been featured in Vows Magazine regularly since 2013. She has been a popular featured speaker on Branding and Advertising on Facebook at BBG (Better Bridal Group), at Atlanta’s Americas Mart, at the Chicago Market and at the Wedding MBA. Distinguish yourself from the many wedding planners in the field today by earning your Certificate in Wedding Planning from an accredited university. Professional certification from Cal State East Bay informs your clients or potential employers that you have expert knowledge in all aspects of wedding planning and management. Cal State East Bay’s Certificate in Wedding Planning provides you with the industry skills, required knowledge, and practical training needed to pursue a career in wedding and event management. You’ll learn from an internationally recognized expert on weddings and special events Joyce Scardina Becker. Joyce is president of Events of Distinction in San Francisco, an innovative designer, and has been an inspiring educator for 20 years. No application is needed to enter this program, simply register and enroll!